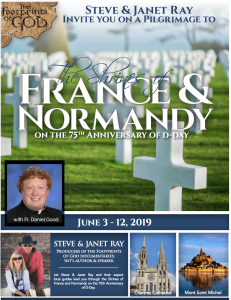 We have the opportunity to fulfill two great objectives: 1) See the unprecedented saints and shrines of France, and 2) Remember our men who fought in World War II on the beaches of Normandy on the 75 Anniversary of D-Day. We will visit the most amazing churches soaring into the sky as a testimony of the faith of the French people in earlier generations. 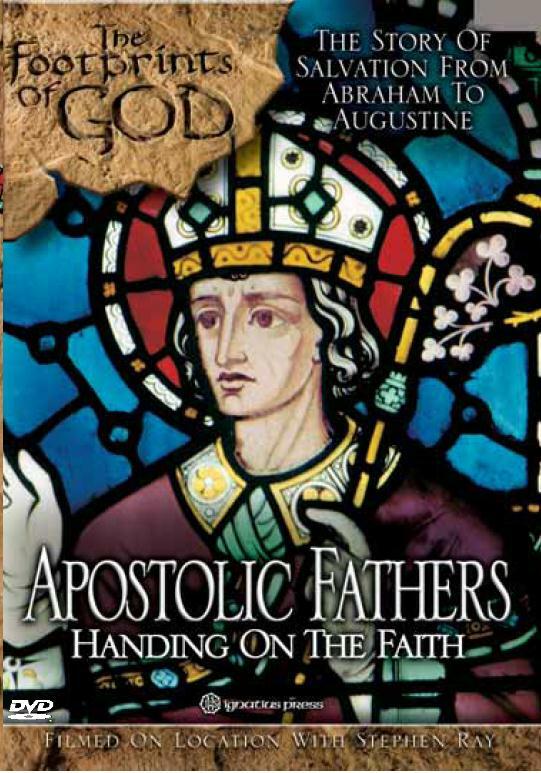 Saints and Doctors of the Church will instruct us along the way. Cruise ship along the Seine River through Paris and so much more. We are making this exclusive for our regular and faithful pilgrims for the first week of registration. Full brochure and pricing is here. Ten have already asked to register. This will be a one-bus trip with our great friend and priest Fr. Dan Good. 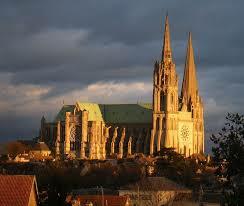 Also one of our favorite European guides with a love for the Chruch and the saints. It will fill up fast! For more information, an interactive map, full itinerary and contact info for registration, visit our France webpage here. To talk to a real person, contact Kendall at kripley@ctscentral.net or ? (866) 468-1420?. What is the Opposite of the word “Believe” in the Bible? Was Baptism Instituted Before or After Jesus’ Death and Resurrection? Here are some of the final farewells and comments from the pilgrimage. It’s always fun to hear what people thought and how the pilgrimage affected their lives. Janet also gives her little speech at the end which many have found to be very profound and helpful. Enjoy a marvelous and fun camel-riding, Dead Sea floating, museum visiting and walking thru 1st century Jerusalem day! Fr. Dan’s closing homily and final pilgrimage blessings here. Mass at Capernaum, Eating St. Peter’s Fish, Visitation and Arriving in JERUSALEM!